An inquest has heard how a 27-year old woman died as a result of carbon monoxide poisoning in a newly built block of flats. Social housing tenant Maria Ighodalo died on 14 November 2007 as a result of a carbon monoxide leak from the boiler in the flat below her Beulah Hill home in Upper Norwood, London. The jury at the inquest into her death heard evidence from an expert witness that gas appliance regulations “pre-dated the introduction of condensing boilers“. It was reported at last month’s inquest that there was significant evidence that a fault with the boiler was responsible for her death, rather than any installation or maintenance work being the cause. 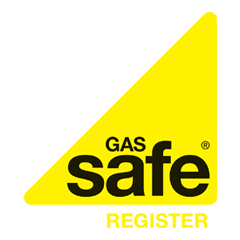 The condensing boiler – which is a common type of boiler installed in millions of homes across the country – had a full set of gas safety certificates. Coroner Roy Palmer has called upon the Government to make changes to health and safety legislation. Following the inquest, he wrote to the Department for Business, Innovation and Skills and the Health and Safety Executive, highlighting his concern that more deaths could possibly occur. Mr Palmer stated that gas control valves on the boiler were pre-set, and that it is common practice for no further tests to happen. Mr Palmer has suggested that sensors could be installed that would be capable of detecting faulty combustion and could switch off the boiler if dangerous levels of carbon monoxide are produced. Ms Ighodalo’s home was not fitted with a carbon monoxide alarm.